Figures of Speech now offers comment functionality in the form of a Slack messaging system. We think that this system has many advantages over traditional blog commenting systems – whether readers find it useful or not, only time will tell. 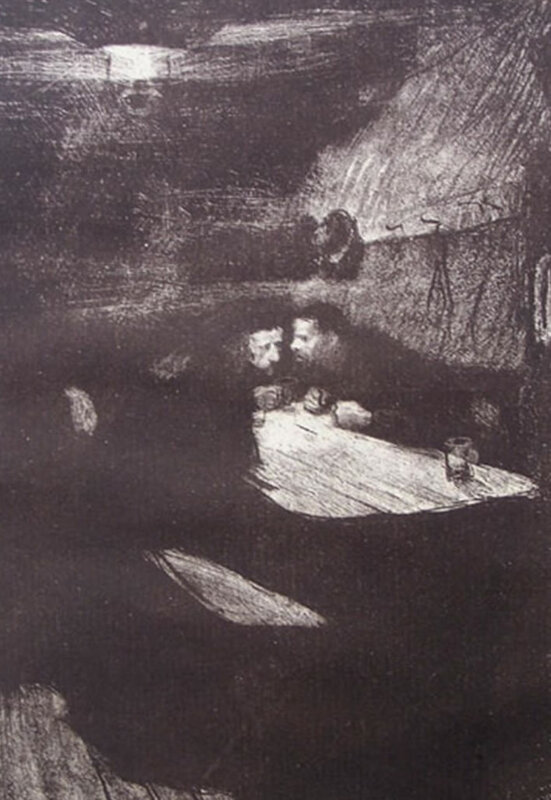 Käthe Kollwitz (1867-1945) Ein Weberaufstand - Beratung, 'Weavers' Revolt - Discussion', 1897. Time has told. The Slack system doesn't fit into our website very well and its use has been discontinued. Reader(s) will just have to keep their opinions to themselves for the moment.